Situated in a sheltered cove on the central California coast, Morro Bay is a historic fishing village and wildlife sanctuary. Your destination for peaceful relaxation, Morro Bay has a bustling oceanfront walking district, full of little boutique shops and incredible fresh seafood. Put your worries aside and enjoy this classic beach destination! . Learn more here! Situated in a sheltered cove on the central California coast, Morro Bay is a historic fishing village and wildlife sanctuary. Your destination for peaceful relaxation, Morro Bay has a bustling oceanfront walking district, full of little boutique shops and incredible fresh seafood. Put your worries aside and enjoy this classic beach destination! . Visit Morro Bay during your next beach vacation and enjoy a historic fishing village turned beach destination and wildlife sanctuary. Home to the distinctive Morro Rock, (the plug of an ancient volcano,) Morro Bay is a calming oceanfront retreat full of wildlife and fresh seafood. Morro Bay is the heart of the central California seafood industry, and all the restaurants at the bay feature some of the freshest seafood you'll ever eat, including clams and salmon. 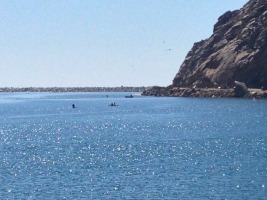 Morro Bay is a refuge for the native wildlife of the California Central Coast. Morro Rock is a protected reserve for the endangered peregrine falcon, which you can see patrolling the skies of the bay. Additionally, many seals, sea lions, and otters call the bay home. Share a peaceful retreat with these rare and special species as you kayak around the spacious Morro Bay, then explore the local shopping district of this historic beach destination. 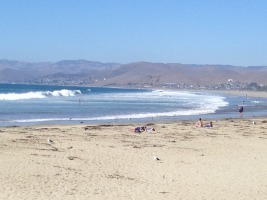 Morro Bay is a great destination for the family looking for a relaxing beach vacation with great food and drinks. 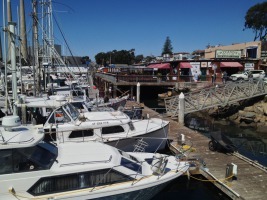 The city of Morro Bay is a well-known culinary hot-spot, with all the fresh clam and salmon you can eat. Stop by Giovanni's Fish Market, an oceanside market and diner where you can enjoy the salt air and snack on deep-fried oreos and fresh fried fish. For something more sophisticated, trip down the coast and tour one of the many world-class wineries dotted along the California coast. Retreat to your Morro Bay beach house rental and hear the waves crash outside your window while you relax after a busy day of sun and fun.